Joe DeCarlo does not have any MLB stats for the season. Draft: 2012, Seattle Mariners, 2nd rd. Joseph Thomas DeCarlo…resides in Glen Mills, PA…graduated from Garnet Valley (PA) High School in 2012. Hit .240 (78x325) with 45 runs, 14 doubles, 2 triples, 13 home runs, 46 RBI, 42 walks and 1 stolen base in 96 games with High-A Modesto…transitioned from an infielder to catcher throughout the season…appeared defensively at 1st base and 3rd base…among Cal League leaders, ranked 15th in on-base percentage (.346), T17th in home runs (13), T18th in OPS (.762) and T19th in walks (42)…recorded 20 multi-hit games…hit .333 (9x27) with 6 runs, 3 doubles, 1 home run and 5 RBI in 6 postseason games with Modesto. 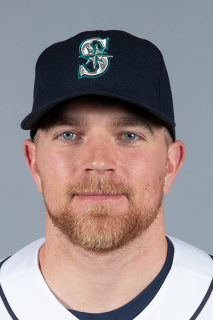 January 24, 2019 Seattle Mariners invited non-roster C Joe DeCarlo to spring training. September 20, 2018 Arkansas Travelers activated C Joe DeCarlo from the 7-day injured list. July 20, 2018 Arkansas Travelers placed C Joe DeCarlo on the 7-day disabled list. April 2, 2018 C Joe DeCarlo assigned to Arkansas Travelers from Modesto Nuts. January 16, 2018 Seattle Mariners invited non-roster C Joe DeCarlo to spring training. April 23, 2017 C Joe DeCarlo assigned to Modesto Nuts. March 1, 2017 3B Joe DeCarlo assigned to Seattle Mariners. April 5, 2016 3B Joe DeCarlo assigned to Bakersfield Blaze from Clinton LumberKings. March 12, 2016 3B Joseph DeCarlo assigned to Seattle Mariners. August 5, 2014 Clinton LumberKings activated 3B Joe DeCarlo from the 7-day disabled list. August 1, 2014 sent 3B Joseph DeCarlo on a rehab assignment to Everett AquaSox. July 31, 2014 Clinton LumberKings sent 3B Joseph DeCarlo on a rehab assignment to AZL Mariners. June 13, 2014 Clinton LumberKings placed 3B Joseph DeCarlo on the 7-day disabled list. April 1, 2014 3B Joseph DeCarlo assigned to Clinton LumberKings from Pulaski Mariners. September 18, 2013 Pulaski Mariners activated 3B Joseph DeCarlo from the 7-day disabled list. August 2, 2013 Pulaski Mariners placed 3B Joseph DeCarlo on the 7-day disabled list. June 19, 2013 3B Joseph DeCarlo assigned to Pulaski Mariners from AZL Mariners. June 14, 2012 Joseph DeCarlo assigned to AZL Mariners. June 13, 2012 Seattle Mariners signed SS Joseph DeCarlo.